Well what they say is true, kids really do change everything and in my case, things changed before the kids even got here. I was the skinny kid in high school (and college) who could eat anything I wanted with out gaining weight although it came with a price. I had to eat frequent meals to stay full and if I did not get food fast enough, my blood sugar would plummet. On several occasions I found myself weak, nauseated and feeling faint. It was not until after college that the weight started piling on and I realized it was time to find out why I always felt so bad and was constantly hungry. The doctor said it was hypoglycemia (low blood sugar) and I should manage it now (in my very early twenty's) to keep from serious health issues later. Basically, my blood sugar would spike and then bottom out several times a day, every time I ate high sugar foods. This is where my nutrition journey began, learning about how the body reacts to sugar and how insulin is so important. 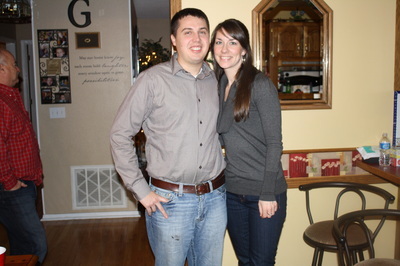 Fast forward five years, I am married and have been back and forth trying to loose the 40 pounds (full disclosure here folks!) that I had gained after college. I was about half way to my goal and I had been successful with daily exercise, watching calories, reducing sweets and eating whole wheat items. Although I was loosing the weight, I still felt awful most of the time with my blood sugar being up and down. The MD I saw at the time, basically told me I was fine and to keep doing what I was doing. The impression I received from him was that when I become diabetic, THEN we will do something at that point. This is part of my issue with trusting doctors. I am not saying there is not a place for modern medicine, but it is certainly not a go-to when diet and lifestyle changes can make just as much of a difference. This was a huge turning point in my health because we were ready to start having children. After being on birth control for ten years for the original purpose to "fix" my cycles, I stopped taking them. The problems I had as a teenager of irregular cycles, unwanted facial hair and extreme moodiness still existed once I stopped the pill. Except now, I wasn't having any cycles. I went off the pill October 2009 and had two periods (where I "think" I might have actually ovulated) in a 15 month period. After a few months of being off of the pill, a dear friend recommended I see a naturopath. This was by far the best decision I made. Dr. C immediately helped me understand my body even more and how sugar affects the hormones needed to get pregnant and stay pregnant. Enjoying butter cream icing for my 30th birthday! The spring of 2011 was a very busy spring. I was following the Paleo diet very closely and feeling the best I had ever felt in my life. I lost the last 10-15 pounds that I had been working for awhile to shed (Yes, I treated myself with butter cream icing, my favorite, for my birthday and it was amazing!!). My husband and I were going through the Dave Ramsey Financial Peace University class as a motivator to get the rest of our debt paid off. We had also been baptized and become members of our church. In prayer, I never prayed for a child, but for wisdom and strength and guidance on what path to take, whether it be adoption, fertility treatments, etc. I personally accepted the fact that I may not be able to get pregnant or at least get pregnant on my own. To relinquish the idea that I HAD to get pregnant naturally, on my OWN was eye opening. 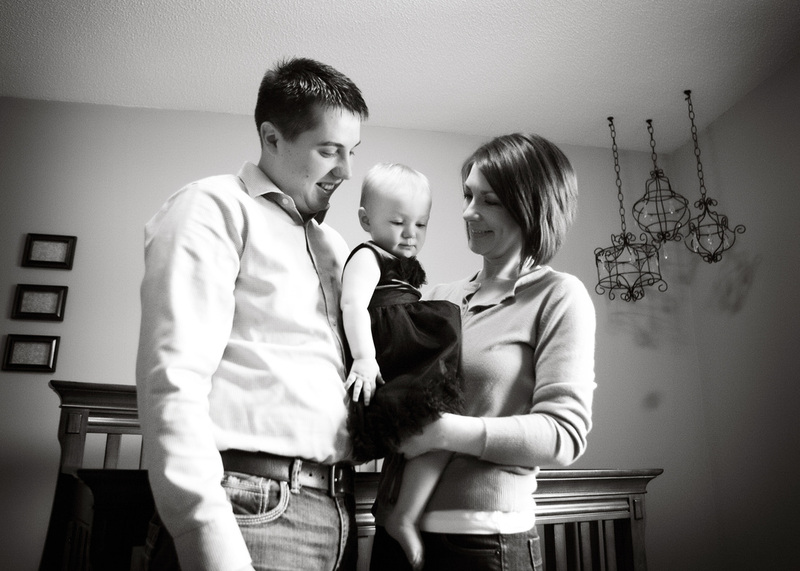 I had been so focused on thinking that if God wanted me to be pregnant then it would happen without fertility treatments, because that is how I wanted it to happen, without treatments. But it is not about my way or what I want. It was then that we decided to see the fertility doctor, just to explore our options. (Yes, I believe in all natural, but I also believe there is a place for Western medicine and technology.) At this point, I was still not comfortable with anything other than discussing our options. Now what is crazy is that I was starting to spot "regularly" in January, February and March 2011. It would last about week and the "cycles" seemed to be anywhere between 28 and 22 days long. I chose not to check my basal temperature or take ovulation tests because before it had been just too depressing. I did, however decide to take a pregnancy test April 21, because I thought, just maybe; it was also negative. But on May 10, 2011 we went to our initial consultation with the fertility doctor, literally to just meet the guy and talk about options. After check-in with the nurse, she came back and asked when was the last time I took a pregnancy test. I responded with, a few weeks ago and it was negative. She said that a positive result was showing. We were in shock!! An ultrasound revealed a little black dot (along with my polycystic ovaries) and the doctor guessed I was about four weeks pregnant. At this time I was 121 pounds and eating maybe 1-2 servings of grains/sugar a week. I had noticed my appetite had picked up, but I played it off as stress with my job. I also noticed I had been making more frequent trips to the bathroom but thought, guess I am drinking more water and one day someone made broccoli at work and my stomach turned over, all before I knew I was pregnant.....my symptoms start EARLY. Even with all of those symptoms, I never believed I was pregnant. When you take as many pregnancy tests as I did with negative results, you don't assume anything. Amazing view from our condo; the only picture taken from our Destin trip. A pregnancy symptom that I never read about in books was EXTREME hunger. The kind of hunger where you have to set your alarm to wake up and eat every two hours because you are so hungry you feel faint and it helps the nausea come down from a 12 to an 8 kind of hunger. It was the tri-fecta, extreme hunger combined with debilitating all day nausea with a huge aversion to meat. The thought, site and smell of meat made my stomach turn even more. The nausea hit at week 6 and that week I will never forget. We were on our way to Destin, FL for our vacation. Let's just say, I was grateful the view of the ocean was great from the couch. LOL! I am fairly certain in the following weeks (about week 5 to 8), I consumed approximately 4,000-5,000 calories a day because I was THAT hungry. I do not tell you this to scare those who have never been pregnant, but I wished I had read this somewhere. Here I was thinking that I needed to stick to my protein and vegetable diet to keep my blood sugar regulated to maintain the pregnancy and that was just not the case (for me, you may have a different situation). The fertility doctor told me to eat as much ice cream as I wanted because I was a little underweight. He told me I needed to gain about 40 pounds with the pregnancy. No problem there, I gained 65 pounds. Carb-city is all I can say. Bread and potatoes was about the only thing I could literally get down. I did take an anti-nausea medication, very reluctantly. It helped some. I was not vomiting, but that did not make the nausea any better. The nausea slowly faded and was gone at 20 weeks. The 20 week ultrasound went great and revealed we were having a girl. I was not sure what I was going to do with a girl since I was not girly. Don't get me wrong, I love shoes and to get dressed up occasionally but I do not need frills or tons of pink (more on that later, but she is soooo much fun and loves playing dress up and LOVES pink). The rest of the pregnancy was relatively smooth. Just the common symptoms, a little heartburn, weight gain and some discomfort at night but at least I was sleeping (very different sleep scenario with baby number 2). I had no swelling, my gestational diabetes test was negative, blood pressure was always normal and I felt pretty good. 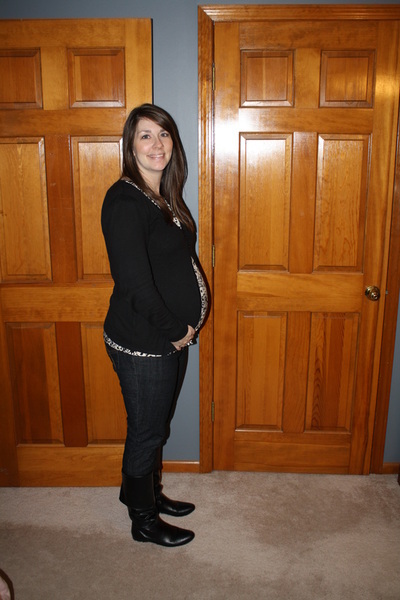 My other random pregnancy symptom was diastasis symphysis pubis. This is where the relaxin that loosens the joints during pregnancy work a little too well and causes mild to severe pain, in the pubic joint. Again, this was nothing I had read in books and none of my friends had experienced it. 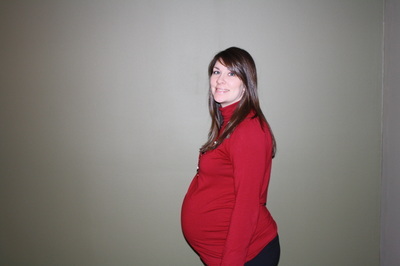 It started around 29 weeks and had finally eased up by 32 weeks. I worked up until the day my water broke and felt great. I never had that "oh, I'm so ready" feeling. I was just so happy to have been pregnant and made it to the end and I just wanted a safe delivery and healthy baby. Read here for Baby Girl's Birth Story and Little Man's Birth Story. 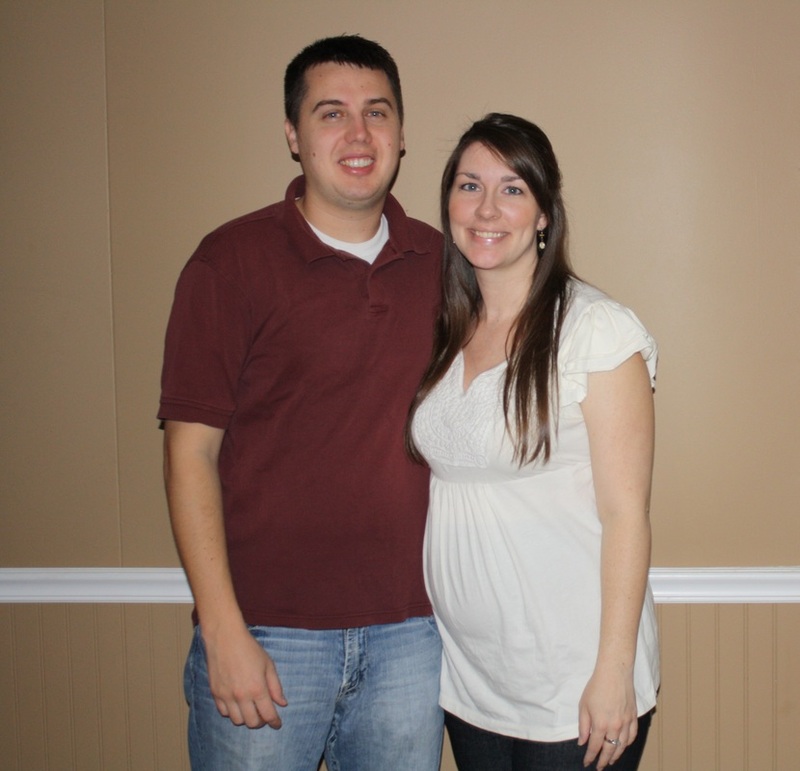 I also wanted to mention a little about my second pregnancy. It was very similar, yet very different. My nausea started and ended the same, week 6 to week 20 and I had all of the same symptoms, except just a little more intense. Not necessarily worse, just more intense. I also experienced insomnia for several months. If I went to bed earlier than 10 pm, I was awake around 1 am til 3 or 4 am and sometimes 5 am. This was odd for me because I am one that requires extra sleep anyway, but on the bright side, I was very productive at night. I finished many projects in that 7:30-10pm time frame. I did have a few extra visits to the hospital the second time. I got a virus with a fever at the end of the second trimester and became dehydrated. I had to go in for fluids and several tests to make sure the baby had enough amniotic fluid. A little scary, but everything turned out fine. He was also exactly a pound larger than Baby Girl and I gained only 5 more pounds with him so there was not a lot of room in there. 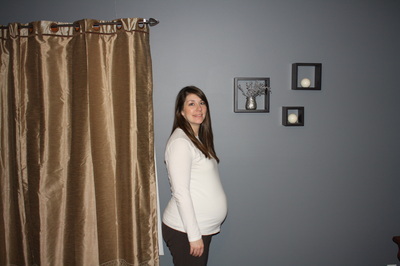 :) The last four weeks of my second pregnancy was significantly different from the first. More on that in the birth story.